It is still hard to believe that over six years has passed since the last Friday The 13th film hit theaters. There has been so many images and behind the scenes stories that has surfaced since that time that our readers probably feel like they know everything about the entire production of the 2009 film. Well, there is always new things to discover and today we have a pretty nifty item to showcase from the production. 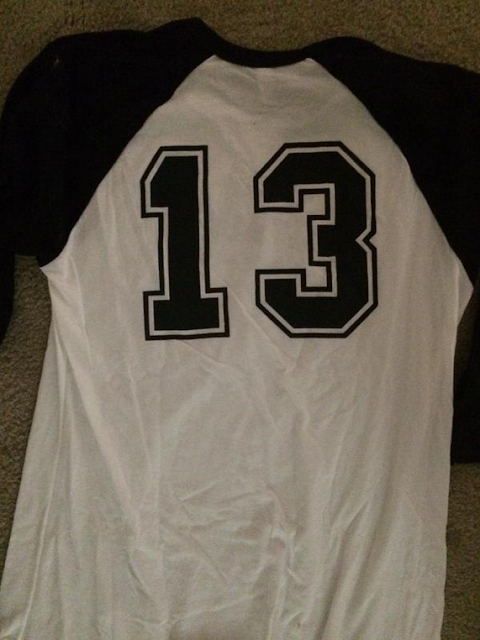 Writer Mark Swift posted his Friday The 13th 2009 crew shirt on Twitter a little while back and it is basically a long sleeve baseball shirt. 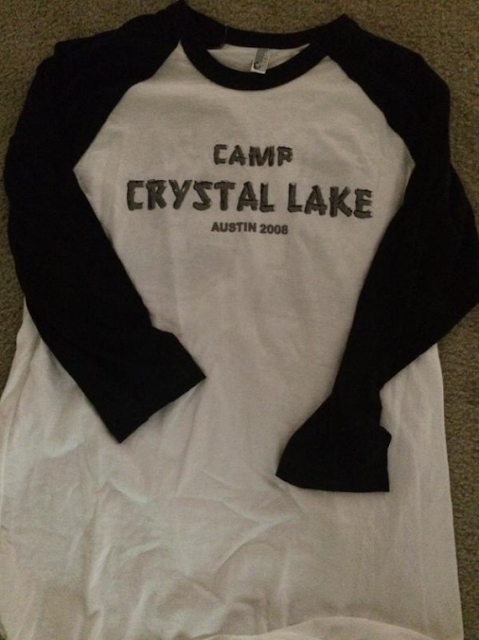 The front of the shirt says Camp Crystal Lake with Austin 2008 below it and the back has the number 13. It's a simple and clever short and a nice memento to remind the crew of their time working on the newest yet retro Friday The 13th film of 2009.